Today, I used Bister with a stamped image and at mask. To begin, I stamped with flower onto cs using Versa Mark. Then heat embossed with white embossing powder. Then I punched a circle from another piece of cs and used it as a mask over my stamped flower. Then I sprinkled Red and Mahogany colored Bister on my piece. Spritzed with a little water and watched the magic happen. 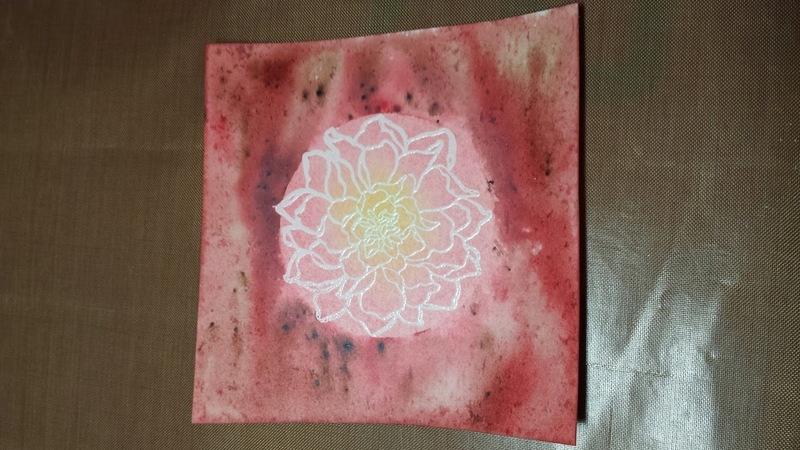 When it was dry, I used yellow and pink ink pads and sponges to work in the color on the flower. This one is now ready to make a card. YouTube has several video tutorials on Bister. You just have to type in Bister into the search.